What could humans — and especially business professionals — possibly learn from dogs about leadership? The Fido Factor is a groundbreaking take on success that will get you barking up the right tree. It goes where no business book has gone before. That’s because dogs exude a leadership genius that can only come from domesticated quadrupeds with wet noses and expressive tails. 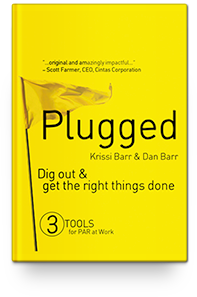 • Faithful leaders earn the trust of their team and their customers by doing the right things and living up to their word. • Inspirational leaders move people to do the meaningful and the extraordinary. • Determined leaders combine perseverance with a dose of fearlessness to keep moving toward goals. • Observant leaders are committed to taking in as much information as possible in order to make the best decisions. This isn’t a cute little book about puppies and it won’t teach you how to beg. It’s a roadmap to leadership success with dogs as your guides. The Fido Factor is a fresh take on leadership that’s as powerful and practical as it is approachable and relatable. 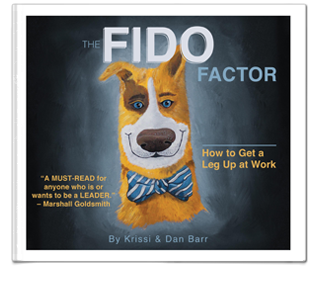 A quick read that’s sprinkled with humor, The Fido Factor is the perfect tool to help anyone get a leg up at work.